When we are young vitreous can be quite firm, approximately the consistency of set jelly. As we age, however, this becomes more liquid (syneretic). With this ageing process, the vitreous can start to separate away from the camera film in the back the eye (the retina). We call this process posterior vitreous detachment, or PVD for short. This is quite rare in those individuals under the age of 50, but is common amongst the population over 65 years of age. Separation of the vitreous gel from the retina can be more common in individuals who are very short sighted or myopic, or in those who have had cataract surgery. For most individuals the separation of the vitreous gel from the retina brings no significant consequences. A small proportion of patients will, however, develop problems from this naturally occurring process. 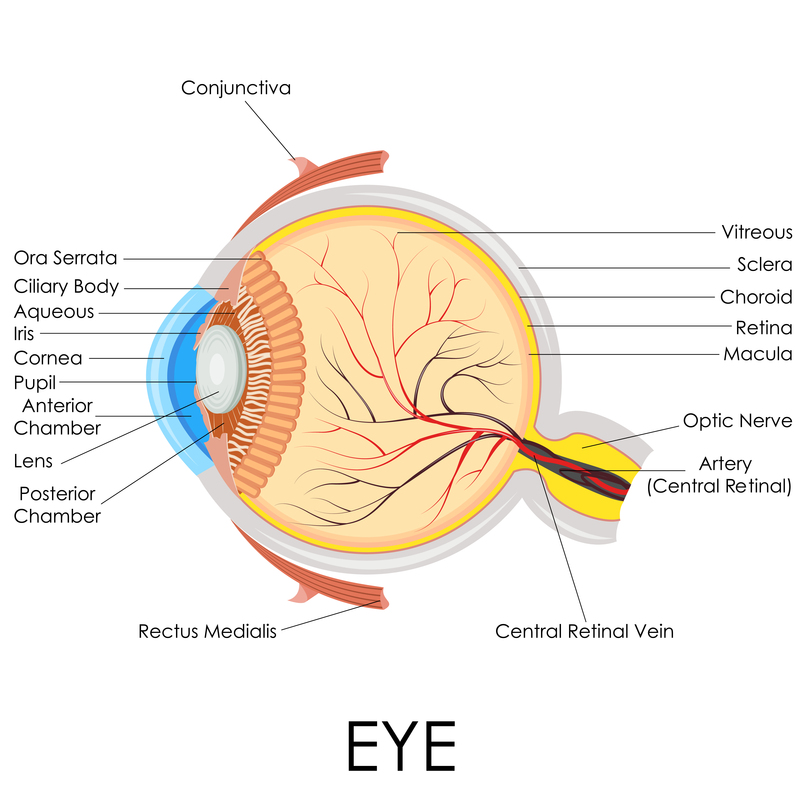 This can range from having a small bleed within the eye, which may settle with time, to having a retinal tear which will need treatment, or potentially even a retinal detachment (Figure 2) which will require surgery. Only an examination by an ophthalmologist will determine the extent of treatment required. A patient would be able to tell if they are experiencing a PVD as they will likely have at least one of two symptoms. Firstly, you may notice arcs of light, or flashing in the peripheral vision. You would typically notice this in dark conditions such as when going to bed a night. This is caused by traction from the gel on the retina, and manifests itself as a flashing light. When the vitreous gel actually separates from the retina, one may notice a significant increase in floaters. These floaters will be much more apparent in light conditions, or when looking at white backgrounds. In the case of retinal detachment, people frequently describe seeing a dark “shadow” in the vision which they are unable to see past. In this case, this is an ophthalmological emergency and must be acted upon urgently. If after a thorough examination a retinal tear is detected, then usually your ophthalmologist will suggest that you should have a laser treatment to the area around the retinal tear, to stop this progressing to a retinal detachment. This would be done under local anaesthetic and the aim is to prevent this small tear in the retina progressing to something more serious such as a retinal detachment (Figure 2). 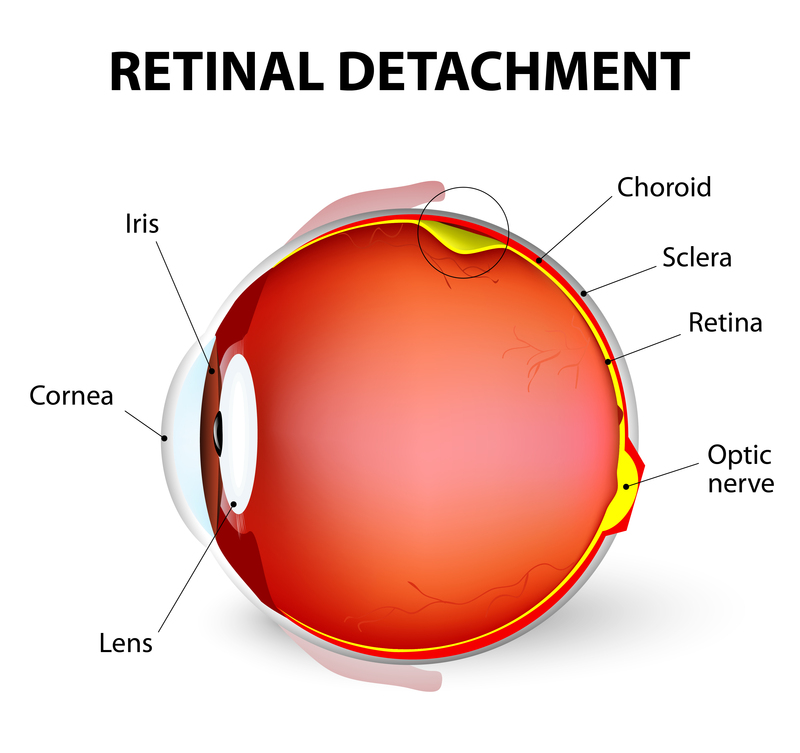 If a retinal detachment is observed following your examination, this will need treatment by a vitreo retinal specialist and the outcome will depend upon the extent of the retinal detachment at examination. What are the risks of treatment for a retinal tear? The most common method of treating a retinal tear is to use laser therapy. This is a non invasive procedures which can be done as an outpatient. It can be likened to “spot welding”. The laser itself is a safe procedure, but like any intervention comes with certain risks. Due to the use of laser energy within the eye, this can sometimes induce a thin membrane on the back of the eye (epiretinal membrane). There is a small risk that the laser therapy may not prevent a retinal detachment, so it is possible that you may need further laser or surgical treatments in the future.